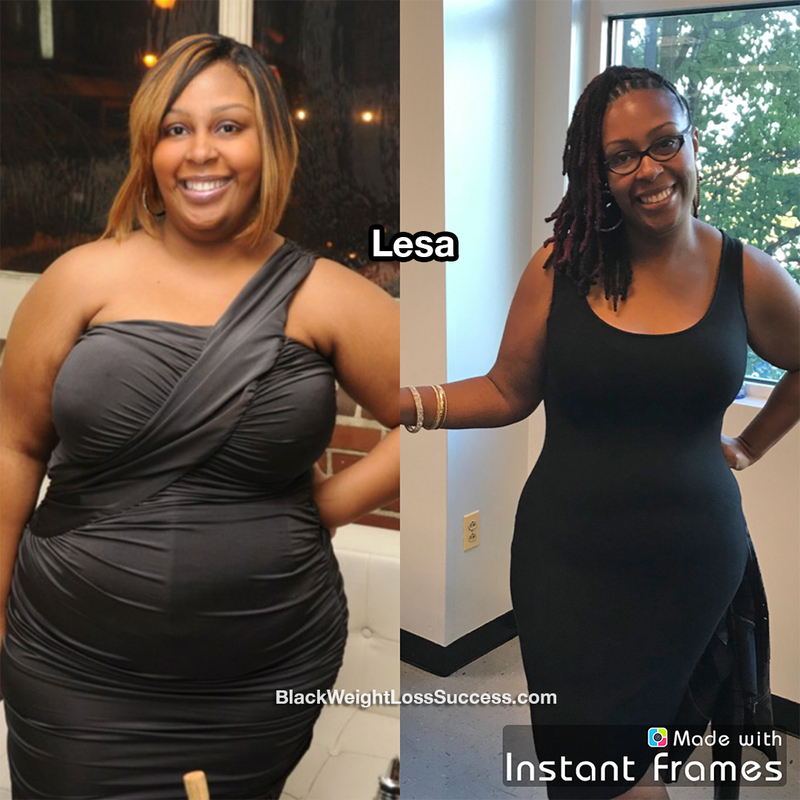 Tranformation of the Day: Lesa lost 83 pounds. Health was a major motivator for her. She didn’t want to see her pre-diabetes turn into full diabetes, or see her high blood pressure worsen. 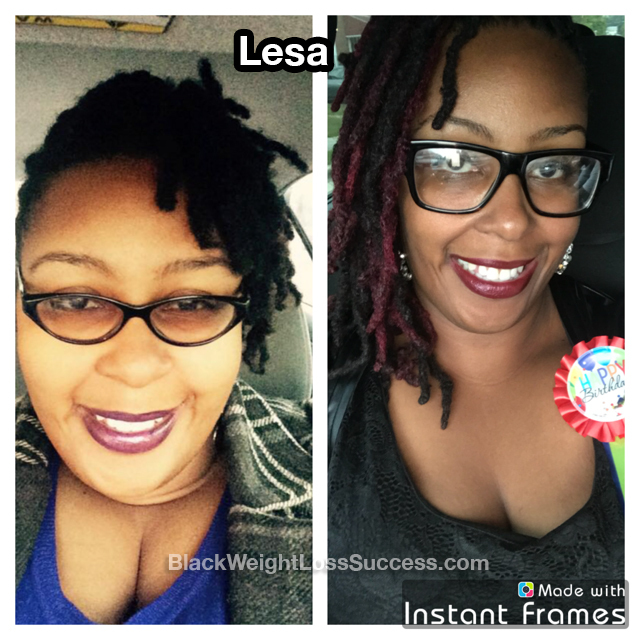 Meal prep, exercise and keeping a log of her meals, calories and nutrients helped her to release the weight. Check out her story. My name is Lesa. In July 2016, I reached my highest weight of 310. Today, I weigh 226.7 pounds at 5’5″. I started my journey (for the umpteenth time) on October 11, 2016. Initially, my motivation was to divert my chances of becoming diabetic and being able to lose a diagnosis of high blood pressure. I had been pre-diabetic and diagnosed with HBP for over 10 years, but never took it serious because my day to day life was not being affected. The thought of injecting myself with needles, losing limbs and taking daily medication was what kept me going when I wanted to give up. The first thing I did was contact a personal trainer and spent HOURS on Pinterest looking for meal prep ideas. Then, the process began. I began to meal prep weekly. My go-to meal was chicken breast, ¼ cup brown rice and as many veggies as I could stand. I used MyFitnessPal to count calories and monitor my carb and fat intake. I cut out all soda, juice and alcohol. I ate oatmeal for breakfast. I had boiled egg whites and greek yogurt for a snack. Then, I’d have lunch and some form of fruit as a mid day snack. I also attempted to drink 1 gallon of water a day. Honestly, I fell short of this particular goal a lot, but I always managed to drink at least 64oz daily. I worked out at least 5-6 days a week. Two of those days were with a personal trainer (mostly doing weight training). I am a morning person, so my good workouts occur between 4-6am. When working out alone, I always attempt to complete 30-45 minutes of going backwards on the Elliptical. I’ve learned is that consistency, balance and persistence is key. I have to constantly remind myself that this is my walk and my walk alone. The biggest lessons I have learned to date is to remember that I am me and that this is a lifestyle change not a sprint or race. No one ever talks about the emotional changes that come with weight loss, but babe, they are real. Be ok with who you are and accept your changes and challenges. The advice I would share to others is to make it up in your mind that you want it and go for it. Have the courage to non-apologetically say no to things that are not within your goals. Congrats Less! I’m so proud of how far you’ve come… You are an inspiration to us all on this road to a healthier lifestyle!